Having recently announced that Wedge Business Calculator will be available for the upcoming release of the Apple Watch, we are pleased to confirm that Train Timer will also soon be updated to offer full support of the Watch. Unlike other train apps, Train Timer is designed to quickly show the information you need. No bells. No whistles. Just open and it’s all there. No selecting stations or scrolling through routes. Just what you need to know – FAST. And now, for those of you lucky enough to be getting the Apple Watch it’s even faster! Train Timer already uses your location to work out the most relevant route from your stored favourites. Using that information, Train Timer’s Apple Watch Glance will show you the next trains to depart, with minimal fuss and interaction required. plan a route . Not only this, but there’s a full-featured Watch App included too. Through the Watch app you can add routes, see departed as well as departing trains, and switch routes manually if required. We truly believe that Train Timer and the Apple Watch are the perfect partners to make catching your next train as effortless as possible. Once you’ve tried it, we think you’ll agree. If you don’t already have Train Timer on your iPhone or iPad, why not download it now and get ready for your Apple Watch! 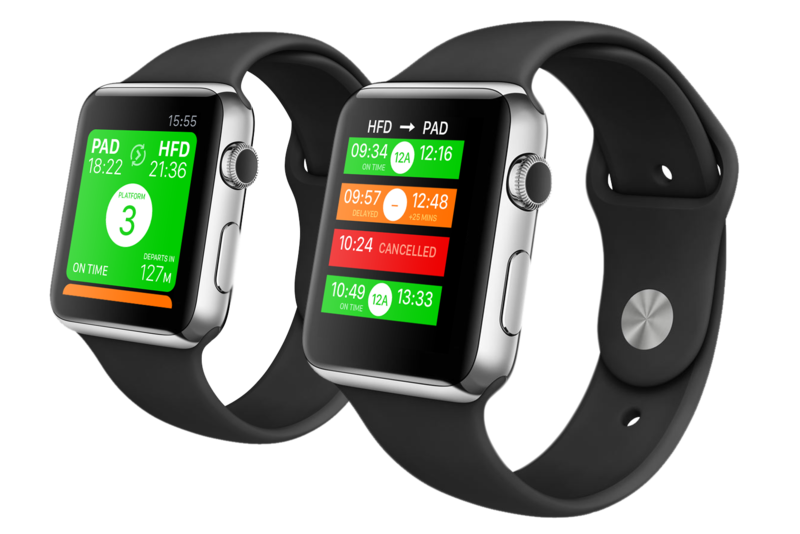 Would you like to write about the upcoming release of Train Timer for the Apple Watch? If so, please visit the Press Page for more information and downloads. → New designs to make your CV / resume Shine!